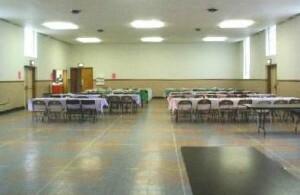 St. Paul’s hosts many community events, in addition to a busy schedule of parish events. The Parish Hall (the first public meeting space constructed in Wellsboro) hosts the annual Men’s Chorus Pizza Party and Soldiers + Sailors Hospital’s Volunteer Recognition Luncheon. The church’s shady rear lawn is the setting for the weekly Saturday Night Service during summer evenings. St. Paul’s is able to share its facilities generously through the faithful, voluntary ministries of parish members. If interested in learning more, please contact the parish office at 570-724-4771 for availability and user fee.